Wow 'em while you wash! Whether facing a window that looks out to the backyard or positioned in the center of a busy island, the sink is the most used work space in any kitchen. Sinks should contribute to the kitchen’s design and meet the challenges of demanding cooks and seasoned hosts. 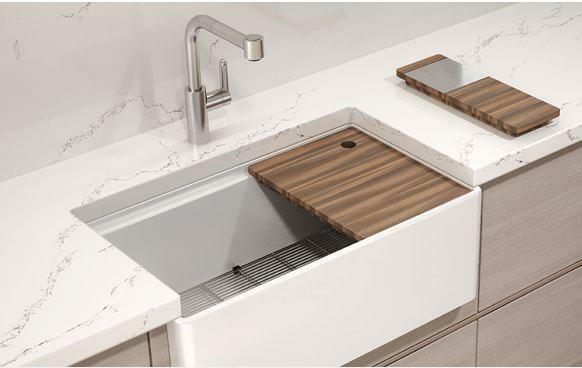 In no particular order, the JD Top 10 Kitchen Sinks list include everything from workstation concepts to stainless steel and apron-front sinks. With so many useful and beautiful sinks from which to choose, might as well wow ‘em while you wash! 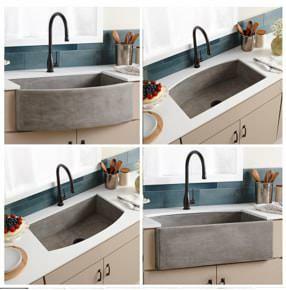 Home Refinement’s undermount Urban Edge sink offers sleek, commercial-quality stainless and is available in a variety of sizes to fit any kitchen. 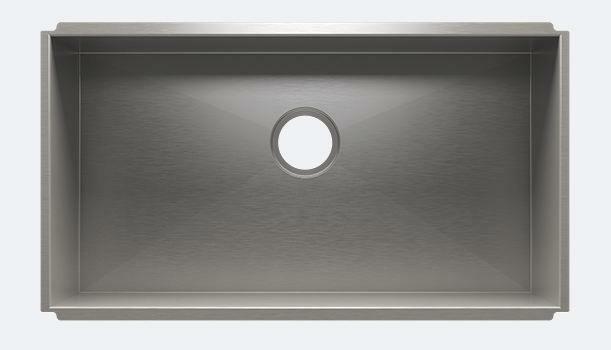 Kohler’s Whitehaven is one of our go-to apron-front sinks. We like the self-trimming feature and that it is available in a variety of finishes. Handcrafted in England, Shaw is a brand long recognized for beauty and quality. The fireclay sinks, are heat and stain resistant and offer timeless appeal. 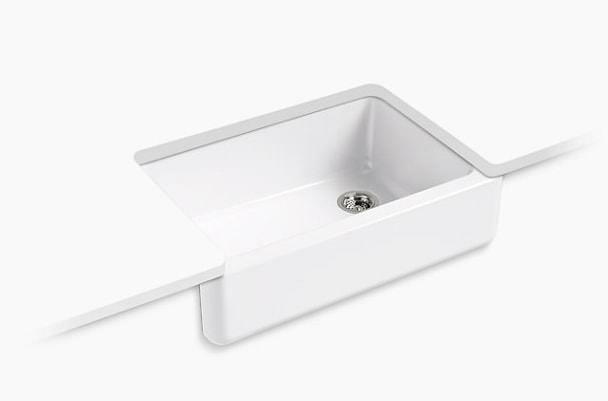 Germany designed and engineered, Blanco’s Quatrus collection features six different sink models including double bowl, 1 ¾ bowl, single bowl and small bar options. The workstation describes a sink area where you can prep, cut, wash, serve, entertain, and clean up in one convenient spot. Workstations are sold in a variety of sizes and accompanying pieces can be ordered, including colanders, cutting boards, strainers, and more. All accessories fit neatly into the workstation. The workstation from The Galley is an exciting, innovative solution for any kitchen. 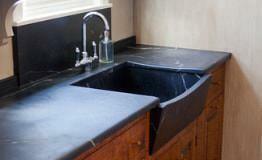 This Bucks County manufacturer lovingly crafts custom sinks from a single stone. The stone color works well in almost any kitchen and offers warmth, charm, and appeal. Glittery and gorgeous, Rocky Mountain’s Alturas Apron Front sink is unrivaled in beauty. One sink, with four different installation options, Native Trails lets you decide the best configuration for your counter needs.